After inovation you can always find people to do it. Are you ready for Wireless Internet? 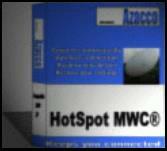 Azacco HotSpot is free to download. Server owner can define their rates and Client users can optimize the connection ex. By cost. Laptop user need only Paypal and Wallet accounts and connection is possible. You can surf, chat, mail, and listen net radio when you are connected in a Azacco Hotspot server. You can use Skype in HotSpot connection. Ideal solution for NetCafé, Students and all broadband users. When you do not need band share it and earn! 17.02.2010 Netcafe uses also Web Wallet. 27.11.2006 Azacco Wallet accepts PayPal payments. 29.12.2005 Print HotSpot AD Here.